Manhattan District Attorney Cyrus R. Vance, Jr., today announced the guilty plea of CHANNING PARKER, 23, for sexually assaulting two eight-year-old children at the Upper West Side school where he was employed as an after-school basketball coach. 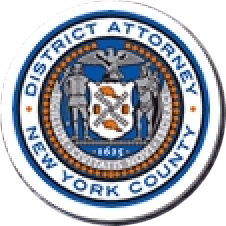 The defendant pleaded guilty in New York State Supreme Court to one count each of Criminal Sexual Act in the First Degree and Sexual Abuse in the First Degree. He is expected to be sentenced on November 20, 2018. Assistant D.A.s Elizabeth Clerkin and Lauren Breen handled the prosecution of the case under the supervision of Assistant D.A. Nicole Blumberg, Chief of the Child Abuse Unit, and Executive Assistant D.A.s Audrey Moore, Chief of the Special Victims Bureau, and John Irwin, Chief of the Trial Division. Counselor Paige Bik of the Witness Aid Services Unit and Special Victims Bureau Paralegal Rachel Dragos also provided valuable assistance on the case. District Attorney Vance thanked the NYPD, particularly Detectives Gerard Sardina and Manish Massey of the Special Victims Division, and the Manhattan Child Advocacy Center for their assistance with the investigation.